It was a cold night last night sleeping so high, but it was worth it for an awesome camp spot. 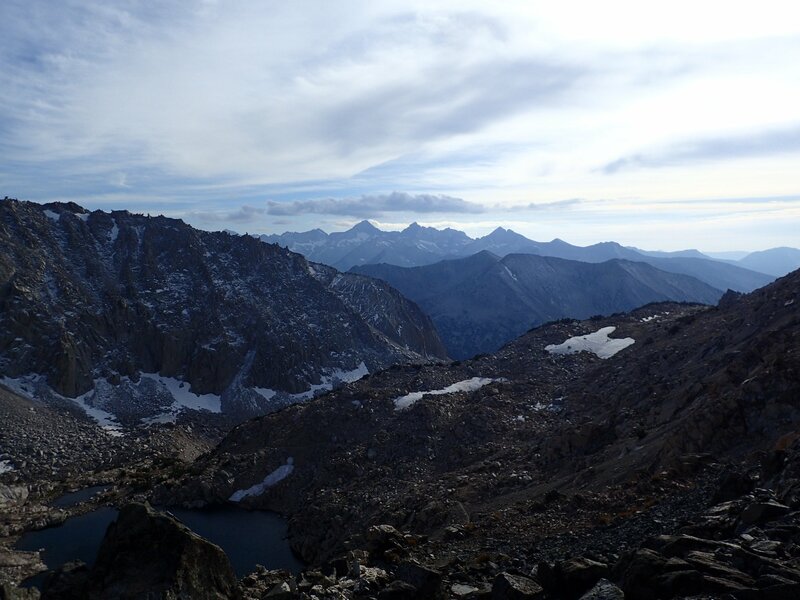 We climbed for a mile and a half to reach Pinchot Pass (12,106). From up so high we could see all the way back to Mather Pass. The descent was as beautiful as the previous high passes, and we saw quite a few other hikers out today and stopped to chat several times. After nearly 4,000 feet of descent the trail turned up another canyon and we started the climb to Glen Pass. 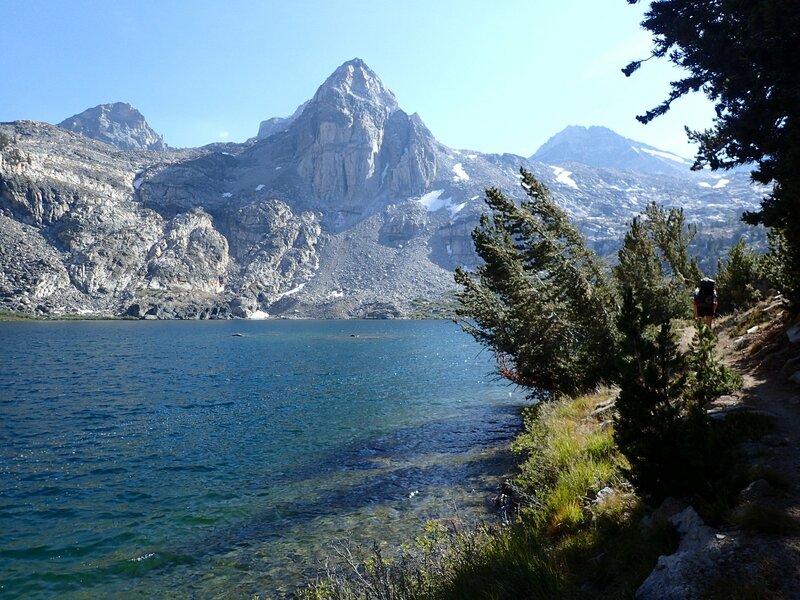 The climb was gentle at first until we passed the Rae Lakes and began to climb steeply. At the top of Glen Pass (11,949) was a short knife edge walk before a steep drop down. 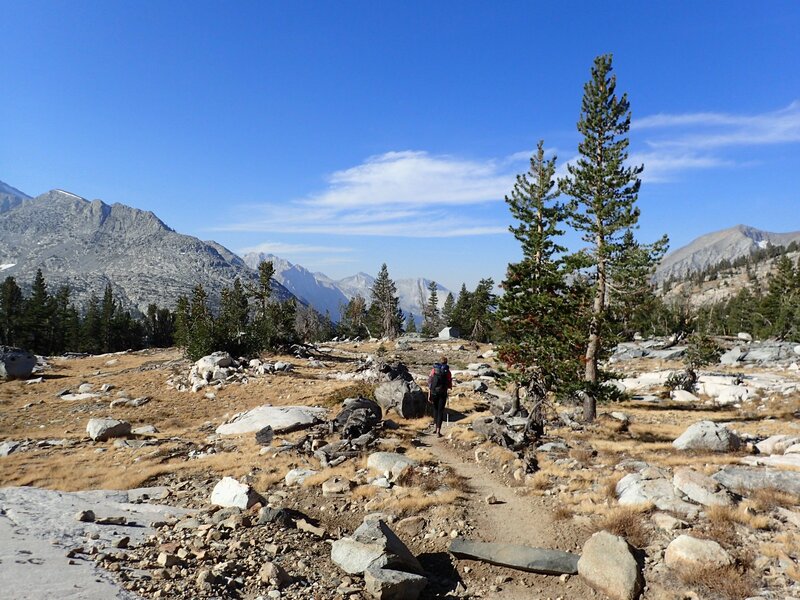 From there it was less than 3 miles to the Bullfrog Lake junction, the exit to Bishop we took back in June. 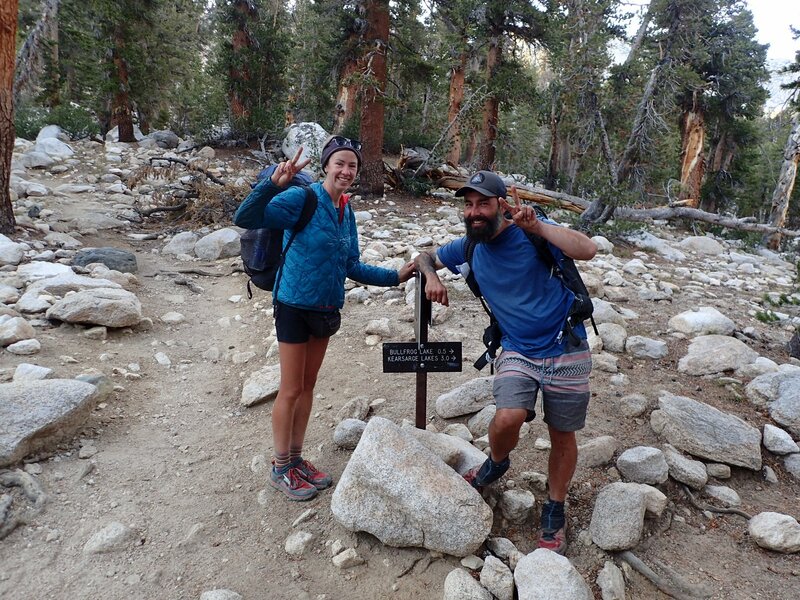 We completed the PCT! We still have about 8 miles to hike and another pass to go over to exit the Sierra, but it feels so good to be done! Congratulations and thank you for sharing your adventure with us! Nice work. Talk to you guys soon. The Sierra looked awesome. Just wanted you to know how much we enjoyed your posts. Have been following you all the way. Congratulations! Phil & Phyllis Tilden.